Safety and quality for the cost-conscious customer. Fixed side with a steel box frame mattress board. Center support adjusts to two heights. Clear-view or slatted end panels. Natural finish. Safety and quality for the cost-conscious customer. Mortis and tenon construction. Fixed side with a steel box frame mattress board and center support that adjusts to two heights. Clear-view or slatted end panels. Natural finish. Low profile for easy accessibility. Smooth plastic teething rails for protection and easy sanitizing. 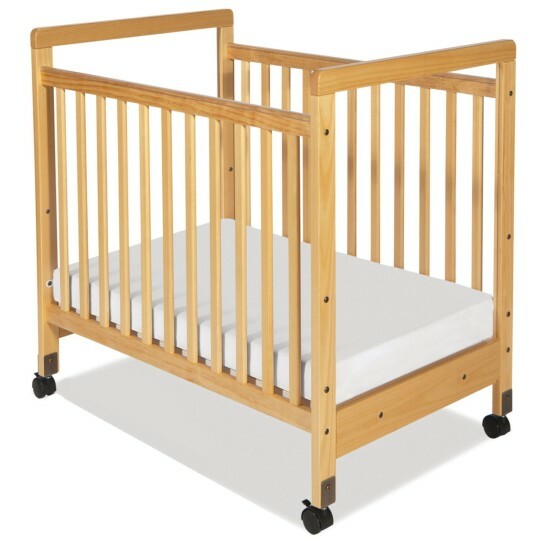 Features vinyl covered, phthalate-free 3" high-density foam mattress and 2" ball bearing casters (2 locking). 24" x 38" sleeping surface for children up to 35" tall. 5-year warranty. 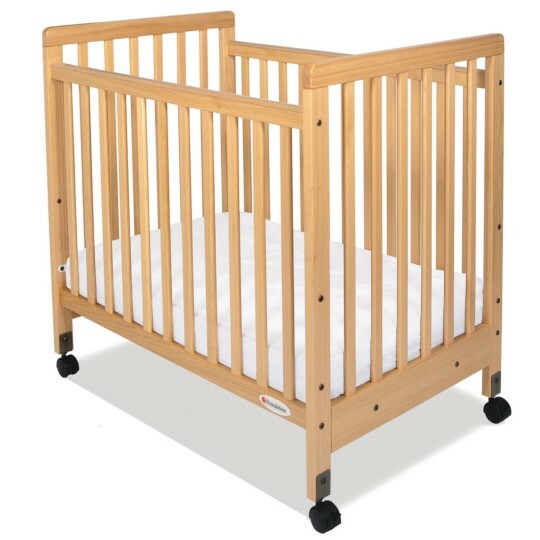 Complies with new crib safety standard 16 CFR Parts 1219, 1220 and 1500. 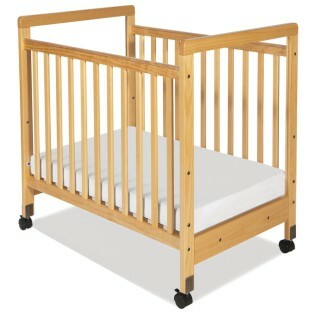 Note: This crib can be made into an evacuation crib by adding evacuation casters EL1404.